The 104.3 frequency in Baltimore has been in a continuous loop of format changes since the demise of CHR “B104” WBSB in the early 90’s. There was Hot AC “Variety 104.3” WVRT, Soft AC “Soft 104.3” WSSF, All 70’s and later Classic Hits “The Colt” WOCT, Classic Rock “Baltimore 104.3” which later brought back the “B104” name under the call letters WXFB. Since 2003, the station had found some stability with Smooth Jazz WSMJ. With the format dying off in many markets, it was expected that WSMJ would eventually change formats. 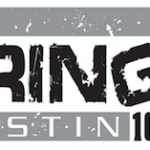 That change eventually happened on May 23, 2008 as WSMJ became Modern Rock “Channel 104.3”. The launch sequence includes a nice montage of airchecks taken from BostonRadio.org as well as some site called FormatChange.com. Not only is it a sad day for Baltimore, it’s also a sad day for Smooth Jazz as a whole. In the last 12 months, we’ve lost stations in Houston, Indianapolis, Denver, Portland, New York and Washington DC. Thankfully, there are still lots of great stations to choose from, like WJJZ Philadelphia, KKSF San Francisco, KTWV Los Angeles, and my hometown station, WNUA Chicago! And you can listen online, so that’s a big plus. Anyway, as a former Baltimore resident, I express my condolences to the jazz lovers in town, and I hope that somebody else brings this wonderful format back someday. Sure, Smooth Jazz is currently on life support, but it’s certainly not dead yet! Just ask the fans in Philly. After all, WSMJ was owned by the same idiots who killed off the old WJJZ. Well, there’s hope for Baltimore, because if it could happen in Philly, then why not here? This is yet another great station that will be terribly missed. What is going on? Why are all these Smooth Jazz stations throughout the country being eliminated? First in DC, Houston, Denver and now Baltimore. There is an audience for smooth jazz and now we must bombard and over-populate the market with all these similar competiting radio stations of rock, alternative and the like. This further gives me a reason to not listen to radio at all. This is awful! I can’t stand what corporate America is doing to radio. They should have left the original B104 (WBSB) alone. I was watching a video on YouTube from San Diego, CA where people were ticked off that Clear Channel was taking the only progressive talk radio station in San Diego off the air and replacing it with a sports station when there was a ton of sports stations on the air in San Diego already. If it were not for the Internet, streaming radio, and my MP3 player, I would be driven nuts by what is called music nowdays. Frank Zoppa said it best when he said that these kids (example: Justin Timberlake) who run the music business nowdays aren’t putting out good music any more. When the likes of Miles Davis and Herbie Hancock and Weather Report broadened Jazz idiom to include elements of Rock, Funk and Electronic music, it was inventive and exciting. However, what passes for Smooth Jazz (which we use to call Fusion, is derivative, mediocre, disposable and arguably embarrasing. It has become more like a modern day BM, featuring instrumental recordings of the hits of the day. Clearly “corporate” radio is using the democratic (small D) process to decide what listeners want, and listeners are speaking, or more accurately put, not listening. I concur with both all three comments. When I woke up one morning and heard the smooth jazz station, I was elated. I called friends and emailed them. “Baltimore has a jazz station and the music is hot.” I did not touch my dial on my home radio nor my car radio for almost a year. I would leave my radio on all night so I could wake up to the smooth sounds. I even taped many of the all night shows and still play the tapes to this day. The music was the best because it was in fact, smooth jazz. Bill Simpson was my favorite. No matter where you went in Baltimore where music was piped into the system, WSMJ was playing. Everybody loved it. Then people started being shuffled around, other songs being added which were not so smooth. It was a people station so I thought I’d write and complain when I started hearing “Kool and the Gang”. I got no response. Not that I didn’t like them, but that wasn’t smooth jazz. Anyway, when the station died, almost every co-worker couldn’t believe it. Friends were actually crying. I am still crying. Bring it back, but the original fomat when it started. My generation needs that music. I don’t even listen to the radio much anymore. Sad to say. It is a tragedy that the smooth jazz stations are being eliminated from the radio. Just recently Chicago was hit with a catastrophic loss. WNUA 95.5 Smooth Jazz was replaced with a Spanish music format. I just could not believe my beloved WNUA 95.5 was taken away from the smooth jazz listeners without a replacement for basic life support to carry us through our day. Smooth Jazz please come back to Chicago life is unbearable without it! Having been part of the B104 staff; I’ll just say the frequency should have been retired out of respect for what was once on it. It’s a limited signal even on the new stick and it’s ludicrous to think anything could be equally successful today. And now the format has changed again… to Top 40. Boo! It is indeed too bad that Smooth Jazz stations are going off the air. However, ratings are consistently dropping in most markets. It’s not profitable anymore. The format is DYING. Z104 or whatever they are callling themselves now is a station with an identity crisis. I have never seen a radio station change formats so often. They don’t know what they want to be when they grow up. As a result, I don’t get too excited about anything they have going at the moment. Having grown up in the 70s, “The Colt” was my favorite. I can’t stand what they have now, but I’ll check back in a year or two. It will probably have changed again. Smooth Jazz is back on the air in Baltimore on 102.7 WQSR-FM HD 2, but you need a HD Radio in order to get it. I do know that there may be a 101.9 WLIF-FM HD station coming that will bring back the oldies station format, but without familiar DJs such as Steve Rouse. We do have The Point as 106.5 WWMX-FM HD 3 as well. Yeah…and how are the numbers for Smooth Jazz @ 102.7 vs 104.3 these days…?